So much going on, so busy with production, shooting, editing, making shows… not much time for keeping up the website, but it was time. I’m redoing this site from the ground up and also updating my reel too, all while trying to move forward with the many projects we’ve got in production. Fear not! All the great stuff that was here before, all the behind-the-scenes photos and information from so many of the films I’ve worked on, will be back! I just need time to update it all from ancient hieroglyphic HTML (that’s what the “H” in HTML stands for, right?) to a newer, nicer, and hopefully, easier to maintain format. In the meantime, if this is your first time here, below you will find some basic bio information along with links and trailers to some of my work. 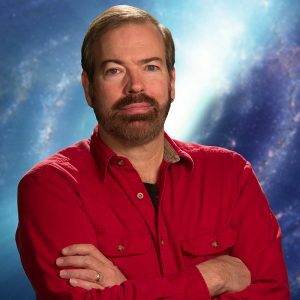 Richard Clabaugh is a filmmaker and film teacher known primarily for his work as a Director and Cinematographer on feature films, as well as for always wearing a red shirt. Professionally, his diverse body of work includes an abundance of feature films, mostly in the action and horror genres, although he has also done comedies, dramas, commercials, reality TV shows, magazine programs and much more. Richard Clabaugh established himself early on as a popular genre cinematographer with such films as The Prophecy starring Christopher Walken, No Way Back starring Russell Crow and the breakout action film American Yakuza starring Viggo Mortensen. He was also Director of Photography on the feature film Phantoms, based on the novel by Dean Koontz which starred Ben Affleck, Liev Scheiber, Joanna Going, Rose McGowan and the legendary Peter O’Toole. 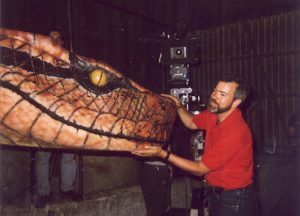 He began his feature film directing career with the cult classic Python starring Robert Englund, Wil Wheaton, and Casper Van Dien before taking a teaching position at the UNC School of the Arts. During his tenure there he also directed the indie-feature film Little Chicago. After nearly a decade as a college instructor Richard Clabaugh returned to motion picture and television production full time. He and his partners established Crimson Wolf Productions whose first major feature was the highly acclaimed indie-SciFi film Eyeborgs, [see Eyeborgs Reviews below] which he directed, as well as co-wrote and produced. Recently he formed his own independent company RedCom Productions from which he develops and produces television programs and web series. Under the RedCom Productions banner he produced 3-seasons of the broadcast television series, Life in the Carolinas, winning multiple Emmy Award nominations and garnering several Telly Award wins. Currently RedCom is in production on multiple projects, including the animal series Reptile Rangers. In addition to producing, directing, writing, shooting, editing and doing visual effects, he makes himself available for guest teaching assignments, lectures and speaking engagements. 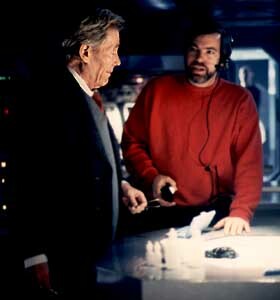 Often he talks on the subject of how to shoot action and visual effects effectively. He also hosts online filmmaking tutorials which he makes available through his website The Kinetic Image. Currently he is in development on multiple series and motion-pictures set for production in the coming year. Posters from some of the movies on which Richard Clabaugh worked as either Director of Photography or Director. Trailers for the sci-fi feature film EYEBORGS, co-written, co-produced and directed by Richard Clabaugh. First page I’ve begun copying over. Eyeborgs Review – DeVil Dead (DvD) – Antoine Rigaud <–This one is in German! Reptile Rangers – Two New Videos Online!